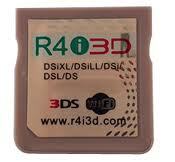 Old R4i3D firmware, for the Cartridge labeled "DSiXL/DSiLL/DSi/DSL/DS" --not "NEW" and not "2012"
For use on the DS and DS Lite. This cart originally would work on the DSi with updates, but it has not been maintained as they've been releasing new carts. This cart never worked with the 3DS. This is for the Kernel only. This file alone will not let you play games released after January 2011. For help with installation, check YouTube or Google. Be careful for the ads on this page that say "download" but don't mean it. Go to the right to download. 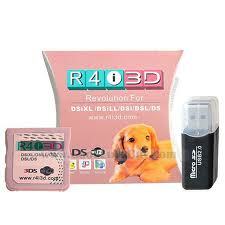 R4i3D "DSiXL/DSiLL/DSi/DSL/DS" Kernel 201101261004377534673 NEWEST!